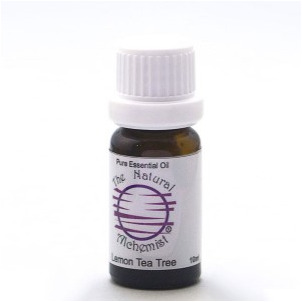 Blends with: Lavender, clary sage, rosemary, pine, geranium, marjoram, clove, nutmeg, other spice oils. Uses: Topical application, massage, compress, bath, skin care, inhalation, diffuser, oil vaporiser or oil burner. Used in: Soaps, deodorants, aftershave, lemon tea tree has a clear lemon scent promoting creativity and clear thinking. Fights bacteria, powerful insect repellant. Safety Data: non toxic, non irritant, possible sensitisation in some individuals. External use only, do not swallow.